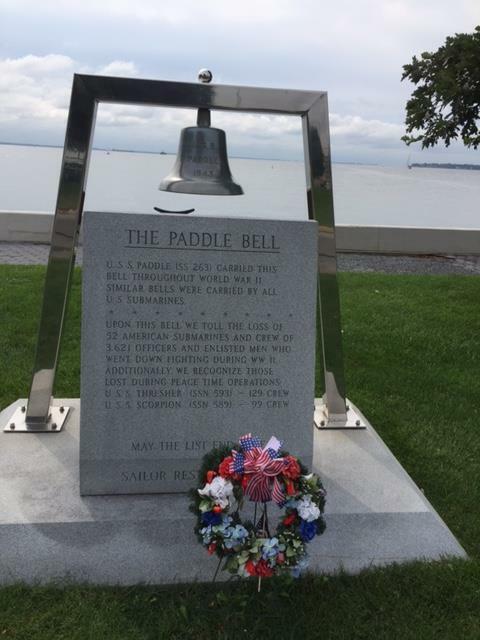 Right next to the USS Maine Foremast is the Paddle Bell Monument. 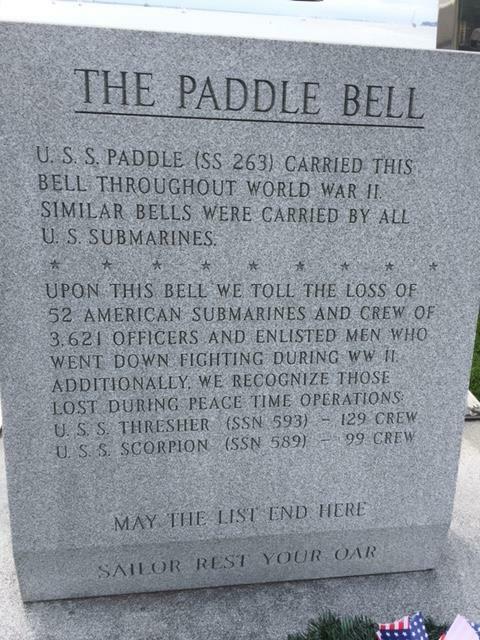 This bell was carried by the USS Paddle, a submarine, throughout World War II. I thought Paddle was the description for the type of bell, but boy was I wrong. The USS Paddle was named for the paddle fish, a large fish native in the Mississippi! It's a memorial to all the sailors who died on the submarines, and lists those lost on the USS Thresher and the USS Scorpion. This monument was placed here in 2000.